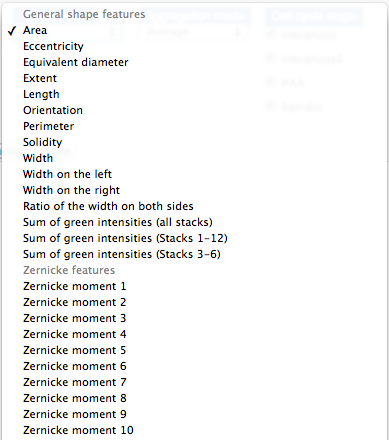 First, the two variables (properties) to be shown needs to be selected. 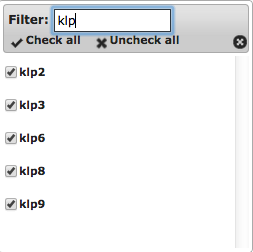 Clicking on the selection panel shows the available variables. (Group level scatterplot only)The group level variables are aggregated from the descriptive level data. The aggregation mode selection panel allows the selection of how the group level value are supposed to be caluclated. 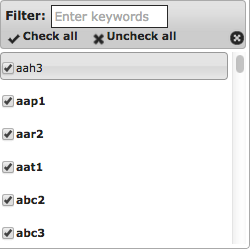 Finally, the descriptive data can be filtered via a filter property. That is, in this example only those cells are used in the query, which are in the selected cell cycle stage. 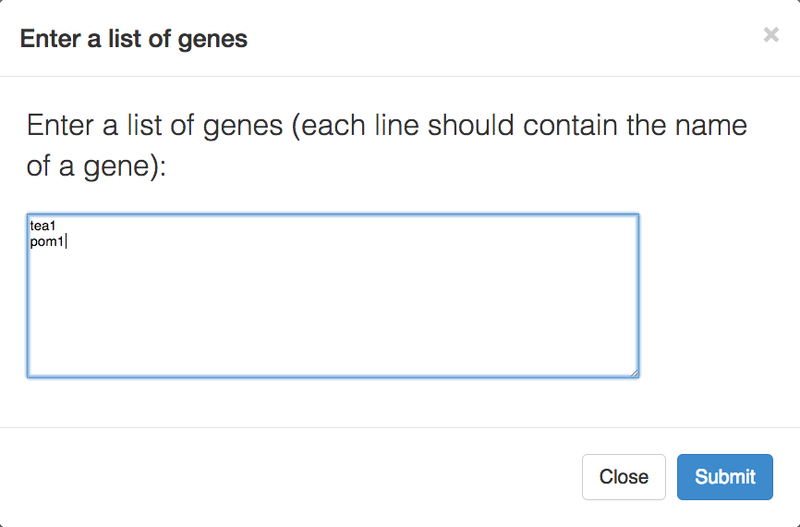 As an alternative, one could use the free text input by clicking the “Enter a list of genes” link below the selection box. The entered gene names will be validated and the ones included in the screen will be selected. Once every option is selected, the submit button needs to be clicked. If you want to start over, click the Reset button which will turn every option to be their default settings.